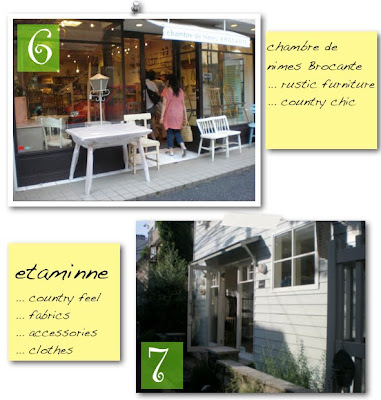 #6 on the shopping tour is Chambre de nimes Brocante where you'll find cozy furniture and housewares mostly imported from the UK. Next, is #7 Etaminne a la Petite Maison. On the first floor you'll find lots of linen clothes. Go up to the second floor and find antiques and original fabrics. #8 needs no introduction. Cath Kidston is your go-to location for vintagey floral prints. This store carries fabric, housewares and accessories. Update: I walked past this shop last week and it looks like the company that owns CK has other plans for this space. It's closed and a new shop is TBA. Bummer. For gorgeous Japanese ceramics look no further than room+J design (#9). 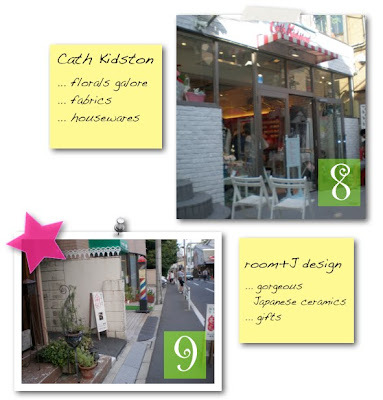 They have everything from your wabi sabi tableware to more kawaii designs. This is a good place to stop if you're looking for more original Japanese gifts to bring home with you. 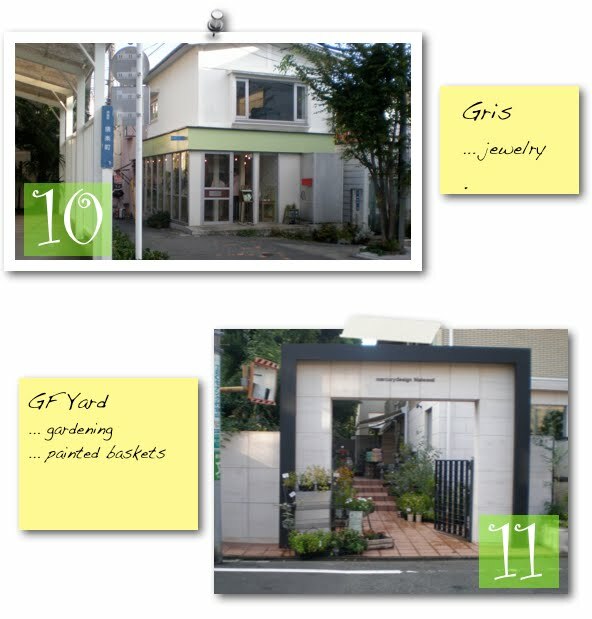 #10, Gris, is a cute jewelry store that also carries dainty ceramics. You'll pass this shop on your way to #11, GY Yard, a gardening store where I saw gorgeous painted baskets and handpainted terracotta pots. Last on the list is my favorite of the bunch, #12 Pupi Et Mimi. This is an adorable shop where, if you manage to find it, you'll be greeted with a nice cold cup of green tea. The staff are so friendly and their collection of gift items and housewares is sure to please. Look for these super cute stuffed animal/pillows by Cotolie Yuka in the shape of bunnies and sheep. You just have to see them. That's all for now. Have fun shopping! Oh and if you need a link for getting around on the trains, I like this site. *An extra special thank you to my dreamy husband for making this particular shopping trip possible!